Premium patio rooms are wise investments for homeowners in the Minneapolis, Minnesota, area, since they can increase both the square footage and value of homes. If you are looking to add extra space to your residence, turn to the experts at U.S. Patio Systems and Home Remodeling. We can install one of our beautiful patio rooms on your home that will provide the perfect space to spend time with loved ones, relax and enjoy some solitude, grow varieties of indoor plants like orchids, and simply enjoy the beautiful natural sunlight that filters through the windows. All of the patio rooms we offer to homeowners in the Minneapolis, MN, area are exceptionally durable and virtually maintenance free. You’ll never have to worry about repairing your sunroom from common damages like scratching, warping, or fading. Cathedral – If you desire a dramatic look, the beautiful vaulted ceiling in this design is sure to impress. Studio – Our most versatile style, this patio room is compatible with one-wall, two-wall, and three-wall setups. California – This sunroom will perfectly complement the look of any multi-story home. Conservatory – This design was inspired by European architecture and is available in a squared or faceted version. Solarium – If you dream of having a sunroom that includes full glass windows and an all-glass ceiling, this is the patio room for you. Walls-Only – Homeowners who already have a porch can easily transform their space into a sunroom. Our technicians can install premium glass panels for you to easily convert your patio into a more comfortable and elegant space. 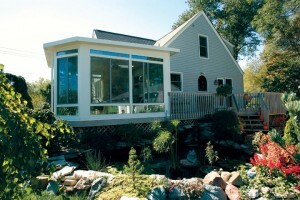 If you would like to learn more about the patio rooms we offer, contact U.S. Patio Systems and Home Remodeling today. One of our knowledgeable specialists is available to answer any questions you have and can tell you more about all of the excellent patio rooms and services we offer to homeowners in the Minneapolis, MN area.